This darling Hollywood bistro, daintily named after the French word for "tastebuds," serves up elegant edibles and relaxed atmosphere. 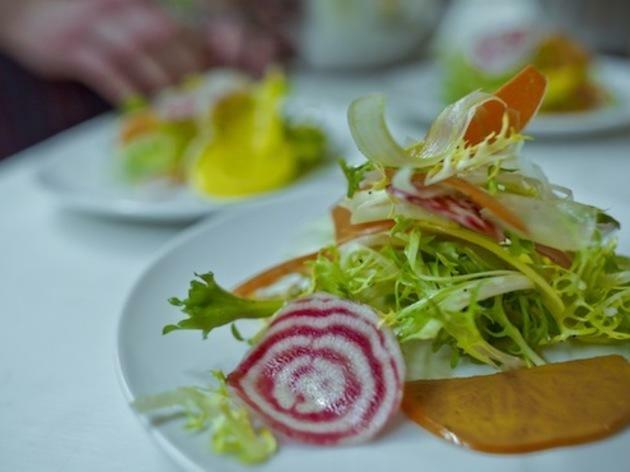 Papilles's seasonal menu, which changes weekly, is sourced entirely from local farmers. The dining experience itself is charming and uncomplicated: each night, Papilles offers a prix-fixe, three-course dinner and pared-down wine selection, which is not in print, but instead displayed directly on shelves in the dining room—you just grab whichever bottle you’d like to drink. Quaint and authentic, a meal at Papilles serves as a rare escape from the seemingly inescapable urban excess.